REDUCED BY $10,000! 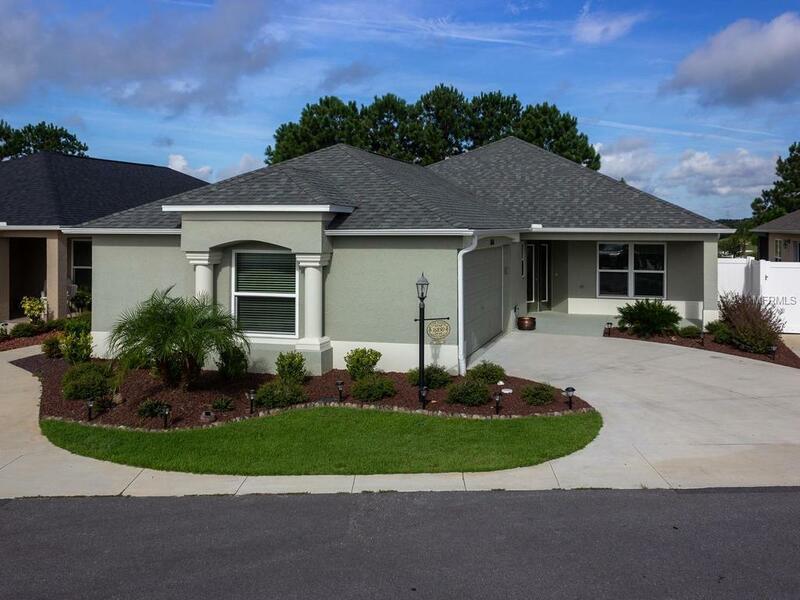 Beautiful Villa Homein a Great New Neighborhood! Come see this extended Montclair model in Phillips Villas! This home contains many upgrades ceramic tile throughout the main home and vinyl plank in the bedrooms, a Murphy bed in the guest room, granite countertops, under cabinet lighting, and a beautiful kitchen backsplash. This home is move-in ready AND the furniture is for sale if the buyer should choose. What is there to love the most about this home? The view from the backyarda unique elevated position overlooking the Nancy Lopez Golf Course (Ashley Meadows 6th hole). The view can be seen from the lanai, living room and master bedroom and the sunsets are magnificent. The 2 car garage in this villa rounds out the package. This home will not be on the market for long, come take a look for yourself! Additional Lease Restrictions See Restrictions For More Details.